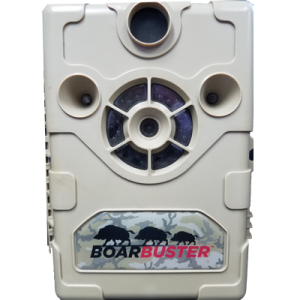 The innovative technology and design of the Boarbuster makes it the most effective trap system on the market. Boarbuster is operated remotely using your mobile device or computer. The trap is suspended in the air by 3 legs which make it unnoticeable to the animals. Simple and Straight forward design makes for easy trap assembly and management. 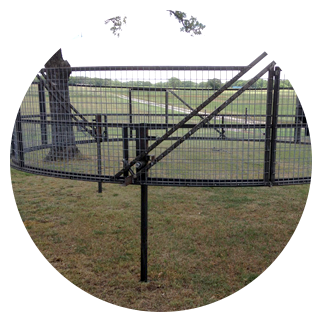 With the feature of a sliding gate, live hog removal is made simple. Research has shown that feral hogs can cause more than $1.5 billion in damage to land & crops in the US each year. Ranchers, Farmers, Hunters, State and National parks, and Golf courses, among many other demographics all feel the effect of this damage. They pose risks for disease transmission among livestock, pets, and humans, while competing with native wildlife and contaminating water supplies. 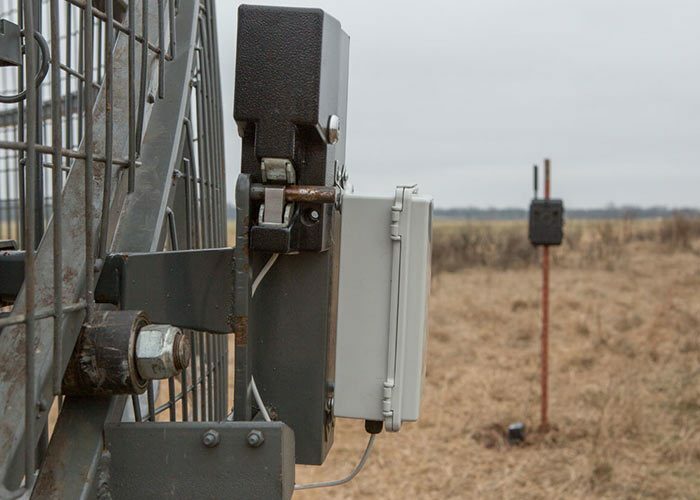 Research suggests that control methods must eliminate approximately 75% of the population just to keep up with the hogs annual reproductive capacity. The trap is comprised of 12 panels that are straightforward to put together. 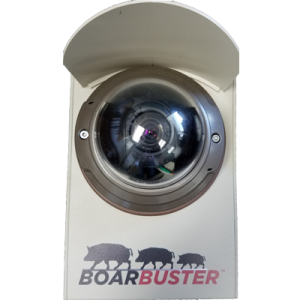 Boarbuster comes with a live feed camera that you operate through your smartphone or computer. 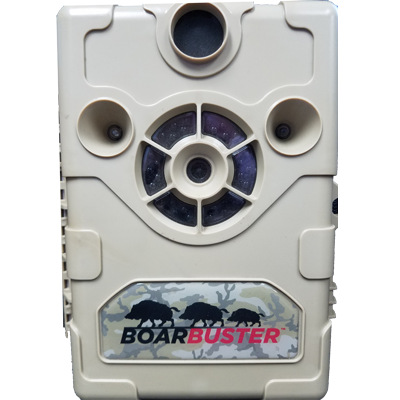 The Boarbuster works best if the hogs are conditioned to a bait source a few days prior to setting up the system. 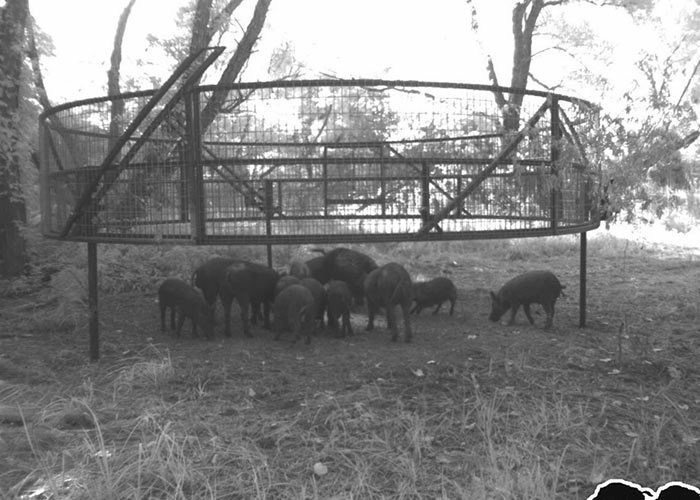 Sufficient bait is required to keep the hogs coming into the trap once it is set up. 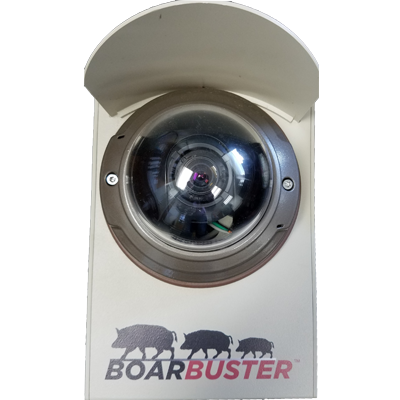 Boarbuster comes with either a standard camera or a Color HD camera upgrade. 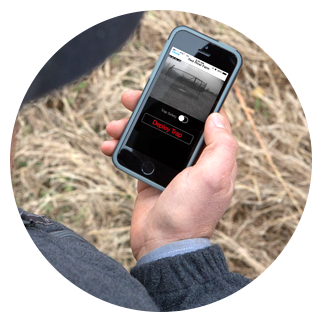 Both provide live video through your mobile device or computer and send you motion activated alerts through email or a text message. The trap is set off by your mobile device or computer. 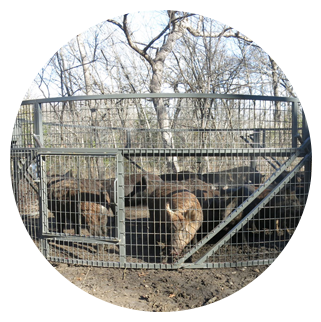 We have the experience for Commercial Hog Trapping. From golf courses, commercial farms, and company properties. We have the experience and can handle all of it. We have captured 1800+ Hogs in the past 2 years. We can be on-site quickly with our own equipment. The only company that uses the traps in the field! 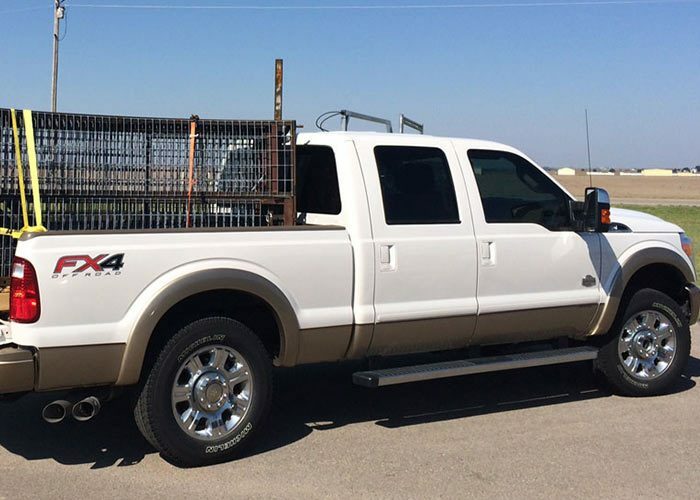 Ready To Handle Your Hog Problem?